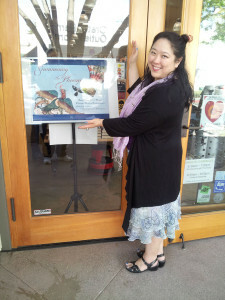 The Summoning the Phoenix Book Tour Around the San Francisco Bay continued on Sunday, April 27th, at Books Inc. in Berkeley! 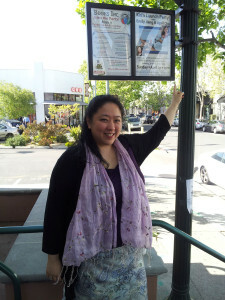 They were so great about putting my cover in their front window and I was stunned at the awesome flyers that lined the street lamps on my way to the store! 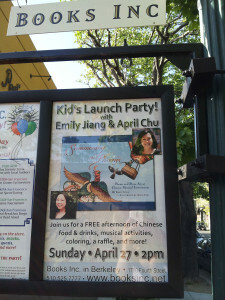 For Books Inc. in Berkeley, 25 RSVP’ed YES and 21 Maybe. So we were expecting 30-40 people. I debated about whether to bring in my last box of books, in case we sold out, and I’m glad I did. In the end, we had maybe 50-60 folks, perhaps half of them included families with small children. 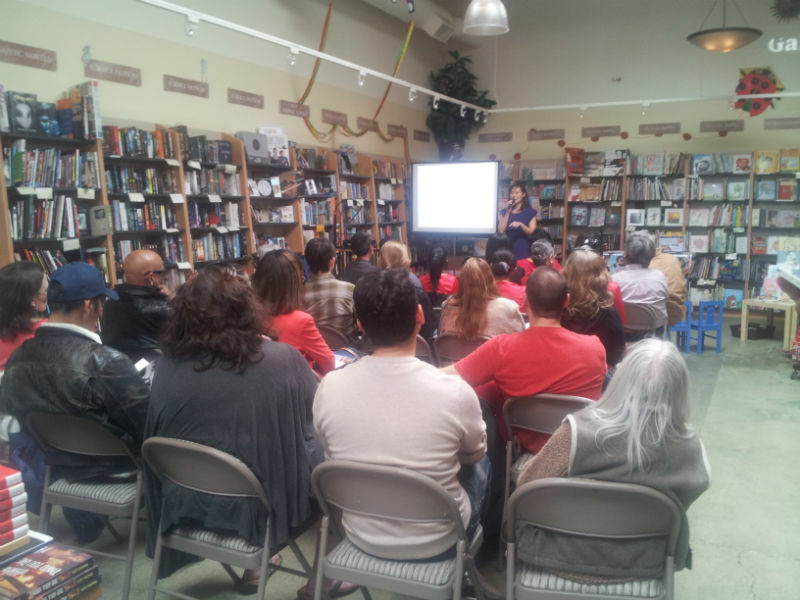 The hardworking staff at Books Inc. had to get more seats and it was eventually standing-room only. Plus, they sold out all their stock and needed to open my last box of books. 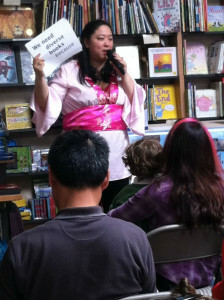 April Chu speaking to a full audience. But you can’t see the people standing among the bookshelves. 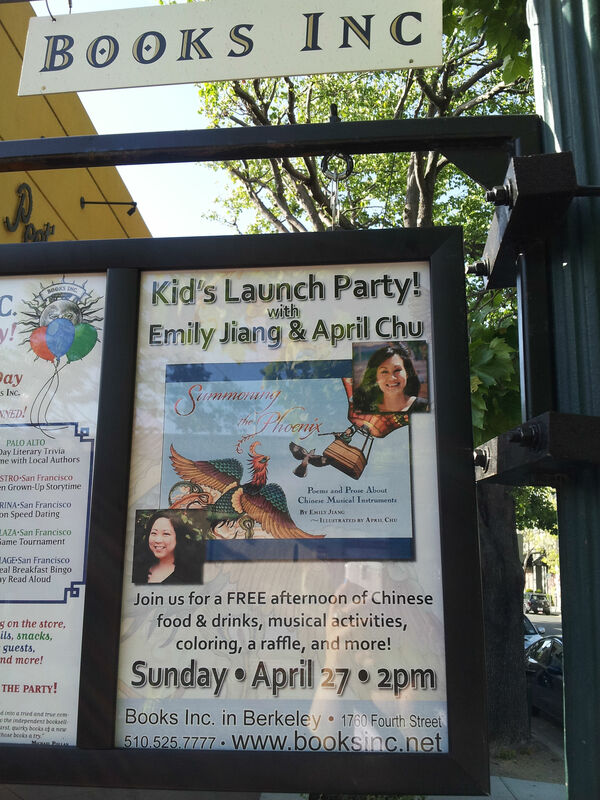 Photo by Emily Jiang. 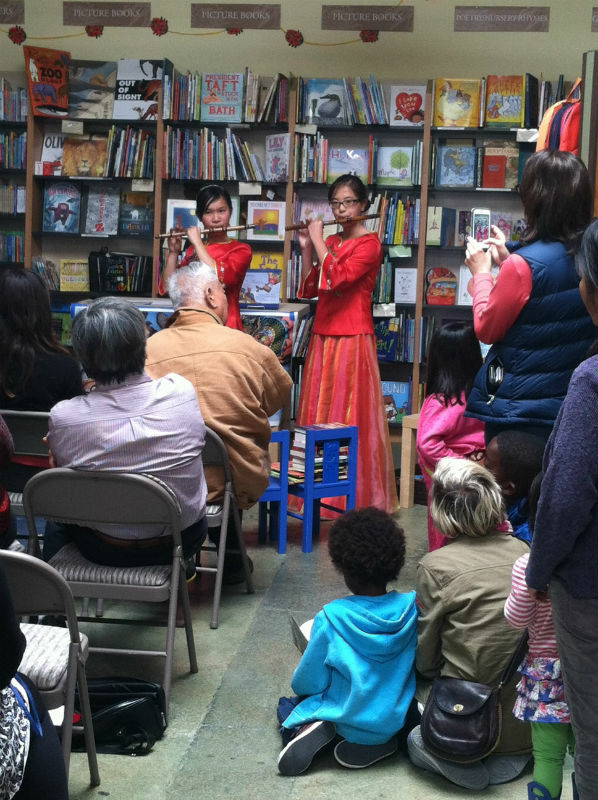 Girls from the California Youth Chinese Symphony playing the dizi (bamboo flute). Photo by Mike Jung. 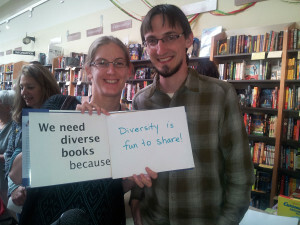 My last-minute change in the program was to add opportunities for people to write statements for #WeNeedDiverseBoooks. Emily Jiang promoting #WeNeedDiverseBooks. Photo by Mike Jung. 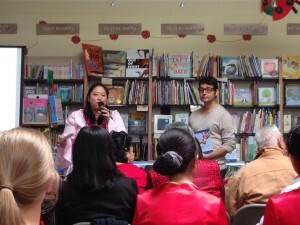 Special thanks to Word Wranglers Mike Jung, Ryan Harris & Julie Harris for helping put together some last-minute #WeNeedDiverseBooks. All the children’s book creators: Mike Jung holding “because”, Darcey Rosenblatt holding “WE”, J.L. 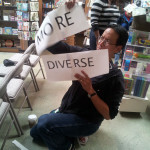 Powers holding “DIVERSITY”, Daniel San Souci & wife holding “NEED” and many wonderful friends holding up all the other necessary words! Photo by Ryan Harris. mixed race! Some of them loved my chop that I had hand-carved when I was in China. Emily demonstrating how she signs with her Chinese chop. Photo by Aaron Lum. 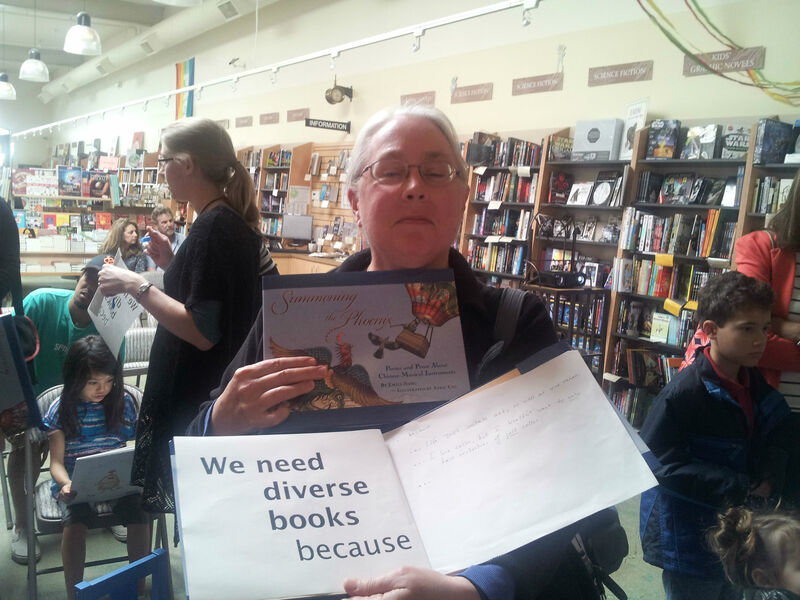 Thank you Juan Alvarado Valdivia for demonstrating his statement for #WeNeedDiverseBooks. Thanks to Darcey Rosenblatt for taking the photo. Thank you to the efficiently hardworking staff at Books Inc. in Berkeley: Schyler (for coordinating everything & helping me find my camcorder), Melanie (for on-site event management & helping me find my keys) , Josh (for schlepping my stuff & helping me find my phone & chop), Liz, Chris. You are so wonderful and I hope you enjoy the cake! Thank you to the wonderful young musicians of the California Youth Chinese Symphony and their parents for driving all the way from the South Bay! 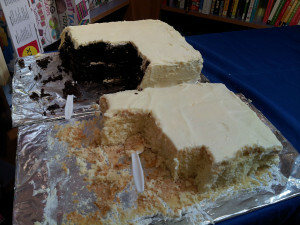 A huge thank you to Kirsten for baking the most amazingly moist white & chocolate cakes & to Aaron & Teddy for communication and moral support. Thank you J.L. Powers & Nesta for providing paper & markers & pre-party entertainment. Thank you to Mike Jung for his expert word making skills. Thank you Eve for fixing the connection between my laptop and the projector. Thank you Ryan & Julie for helping with the book. Thank you Juan for being my guinea pig in front of the entire audience. So great to meet Twitter friend Catherine Johnston who brought her beautiful daughter (dressed gorgeously in bright pink!) who was originally adopted from China. Also wonderful to meet Facebook friend illustrator Daniel San Souci and his lovely wife in person. 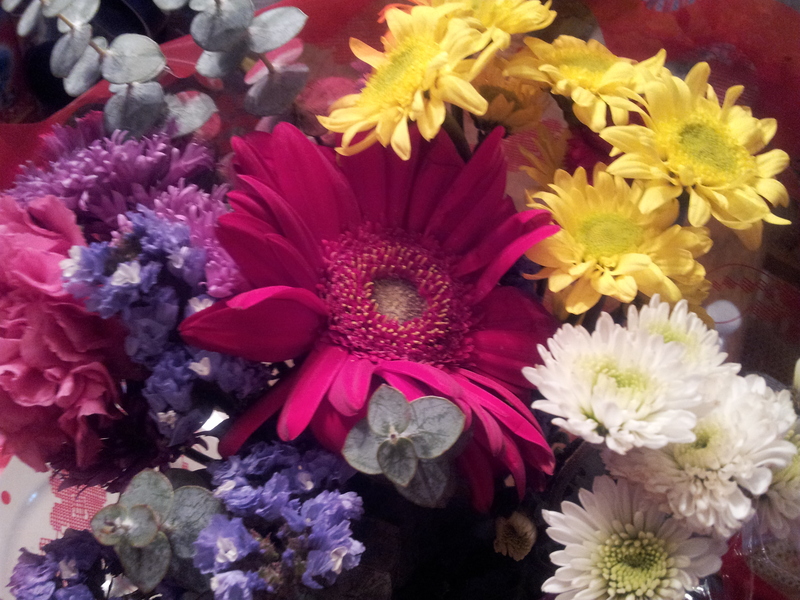 Thanks to many other wonderful friends: Darcey, Aaron, Brian, Diane, Trishalana, Irene, Chris, Zuli. 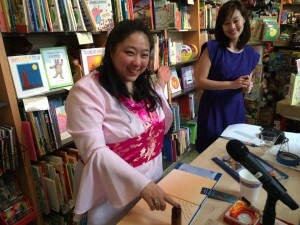 Special thanks to my dear friends Arlin, Otutte, and Amate, who made the trek out to Berekely Books Inc. from San Francisco TWICE in one weekend. And they brought me beautiful flowers! Note to self: Paper scripts & scripts on my phone can still get lost, no matter how hard I try to keep them on me at all times. Enjoy the moment. 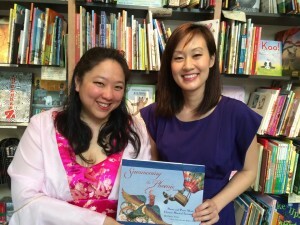 Author Emily Jiang & Illustrator April Chu holding their book. Photo by Aaron Lum. 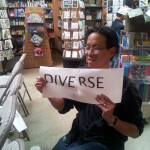 Next Next post: Part 2 of NerdVana Podcast featuring Summoning the Phoenix Launch Party at Kepler’s!